Home > Blog > Can voice search turn search engines into mind readers? Not so long ago, watching someone shout an order into a phone was a novel and somewhat bizarre concept, but over the years, this has slowly become the norm. And this is exactly what the big players in voice search hoped for, as Apple, Google, and Microsoft have deployed voice search assistants around the globe, and IBM has also recently followed suit with IBM Watson Assistant. Indeed, the rise of voice search optimisation is imminent. So are you ready for the voice search revolution? If not, it’s time to start thinking about your SEO strategy. Current search marketing trends show that search engines have struggled in the past to keep up with complex voice queries, but as AI takes over, your voice assistant may be able to read your mind. The use of voice search is increasing. How many people are searching with voice? In 2016, only 20% of mobile queries were from voice search. That number has increased with the rise of smart home assistants like Amazon Alexa and Google Home, which make it easier for users to query and purchase whatever they want. Only 7% of households owned a household smart speaker just two years ago. By the year 2020, analysts project that 75% of households will own a smart speaker. That’s 94.2 million voice search optimised devices. 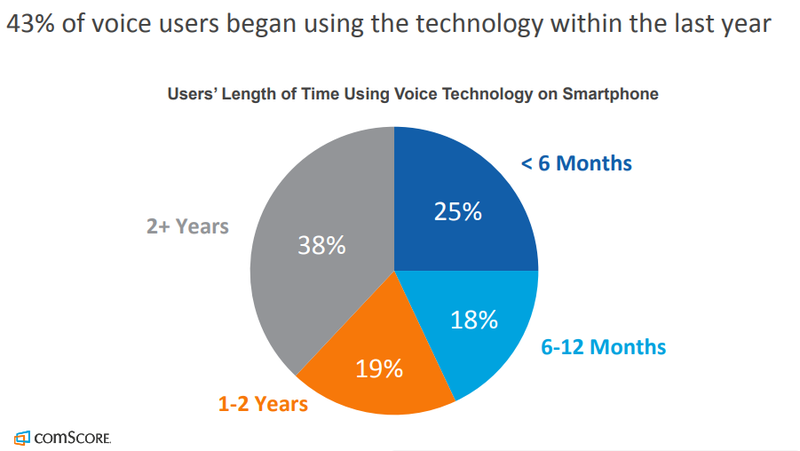 Why are users just now starting to use voice search more? 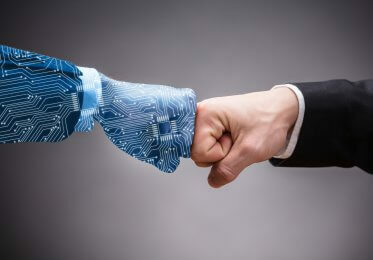 Voice search (speech recognition) has been around since the 1980s, but the latest AI technologies conduct faster and more intuitive searches, usually delivering exactly what the user asked for in a matter of seconds. That kind of search power can go to your head, which is why users love it so much. 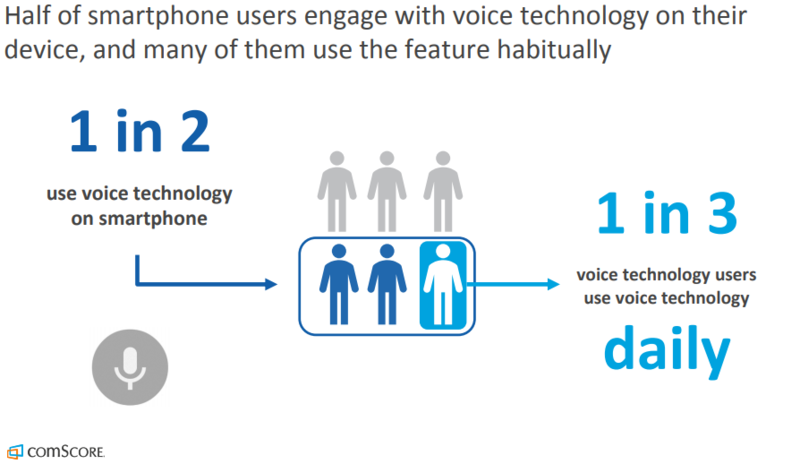 One in three users use voice technology on a daily basis. Current data from comScore shows 41% of users are now using voice search in 2018. Users take advantage for voice search mostly out of convenience when their hands are full, or their vision is impaired. While the data reflects mainly the US market, it is believed the trend isn’t too dissimilar in the UK. How convenient is your website to find in voice search? Currently, voice search rankings seem to mimic desktop rankings, but most analysts believe that search engines look for topic authority, as many voice search queries are complex. 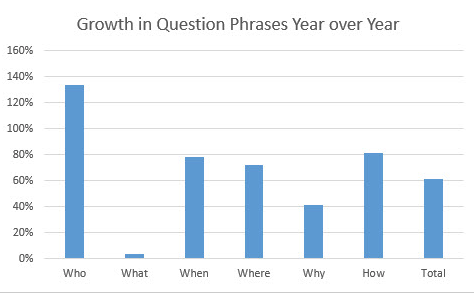 As this nifty graph from Search Engine Watch shows, questions asked by users may contain over 80 characters and multiple keywords, which is why websites have to start thinking about in-depth content pages that answer multiple questions. Paying attention to question phrases is important. 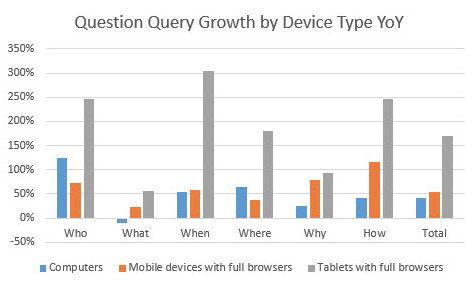 Note how the queries change across devices. Recent audience data pins the majority of voice search users to the 35-44 age range. However, the 25-34 age group is the most comfortable using different devices and voice search. 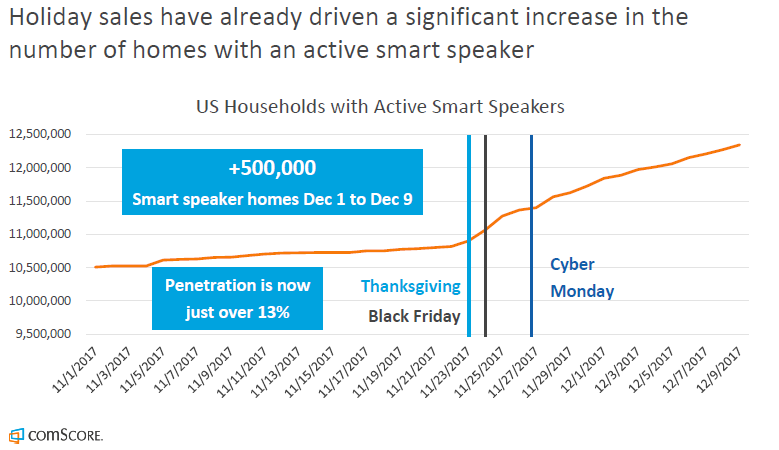 This goes back to the influx of smart home speakers on the market during last year’s holiday season. Sales tie in directly with smart speaker usage. As we build content for these users, schema markup continues to thrive for its quick delivery of visual information to the mobile user. Featured Snippets in Google are more prominent in voice search results. These pages have the highest rankings and more engagement, which makes it a key target for your SEO strategy. Marking up pages individually is an arduous task. If your site is a WordPress website, thankfully, there are WordPress plugins that will make it easier to serve up the most optimised content to search engines and to users looking for specific answers. However, content also must be authoritative, with a good following to make it to the top of SERPs. As brands and marketers, we should be aware what questions are being asked, and what answers we are providing with our content, and whether those answers have the right long-tail keywords to get picked up by search engine crawlers. How do assistants work with search engines to select the top results? Machine learning has always been a fascinating science. As AI develops, voice search assistants become more attuned to the inflections in tone and meaning behind the query in order to serve up the most pertinent results. Google’s voice search seems to be most adept currently, as Apple still has some quirks to figure out with Siri, and Amazon’s Alexa is also quite powerful for users who want to make quick purchases. As we audit our SEO strategy for voice search, we’ll be looking at complex queries and long-tail keywords that we can incorporate into in-depth articles. 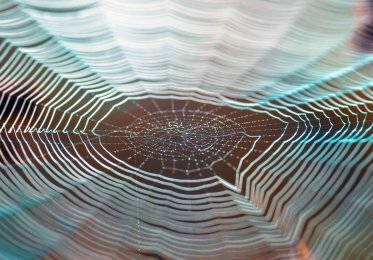 While ranking algorithms seem to change with the demands of the user, we do understand that Google ranks based on authority, mentions, and reputation. Optimising for PAA (People Also Ask) boxes is key as well. A single PAA can show up in 21 different SERPs, which gives your website substantial search real estate. Therefore, the most optimised pages will win the voice search revolution. Is your site optimised for featured snippets? It’s clear that featured snippets are the holy grail of SERPs right now. If you want to do some keyword research for your strategy, all you need to do is look at the featured snippet for a handful of your most popular keywords to find out what’s popular. Some other tools to help you find queries that result in featured snippets include Ahrefs’ Keyword Explorer. These tools have been gathering keyword data for many years and provide powerful keyword statistics that can help you make your keyword strategy stronger. There’s also free tools for long-tail or question-based keyword discovery such as AnswerThePublic.com or UberSuggest. Voice assistants often show featured snippets that have the proper social markup as well. Images, links, and descriptions make it easier for voice assistants to know if content is authoritative and reputable enough to share with users. How does the featured snippet display? Do you see a list, table, bullet, or paragraph format? What image was used? Google wants content that hits every mark almost perfectly. This means that readability is a prominent scoring factor in snippets. SEO teams should optimise content to be highly informative, yet easy to quickly peruse for mobile users. Brevity and definitive tone of voice is much preferred, while grammar also needs to be spot on. Check out the view source on featured snippet pages. What markup do you see? The best way to optimise your markup is to check out what the top pages in search are doing right now. You will likely see structured (tables) and semi-structured data (H2-H6, JSON, XML), and markups schemas (ordered or unordered lists, entities, etc). Dawn Anderson wrote an excellent in-depth article about this in her Search Engine Journal’s article. What do you think of the overall experience of the page? Content authority has been the top SEO ranking factor for many years. However, content is not like it used to be. Paragraphs of content with no breaks, videos, Tweet highlights, lists, or images, will not make it on the reader’s radar. People want content that jumps off the screen and fills them with a hunger for more information. If your site can be the one to deliver that information, then you’ll bring back users again and again. Speaking of returning users, don’t forget to incorporate a follow-up strategy for social engagement. This is a bit out of character of me to talk about social channels, but many websites have yet to figure out who should be responsible for engagement. Is it the SEO team? Is it the social media manager? Is it the copywriter’s fault for not writing enough about cats? With the amount of integrations and social media tools available today, the answer is that your website should be an engagement machine that assists your teams without them having to do much work. What would a perfectly optimised page for voice search look like? Our research shows that faster websites are getting more preference in organic SERPs, even Google has recently incorporated a section for SEO audit to their Chrome’s Lighthouse extension. Long-form, well-optimised content with highlighted questions and optimised to answer questions. Schema optimisation for Featured Snippets. Linked video content is key for engagement on social platforms and backlinks. If using PPC, studying “search terms” on your current ads can inform on complex questions being asked in Google by voice search — for now. A great example of a site passing mobile audits. We likely will see another algorithm and keyword update that blocks seeing long-form unique questions from voice search, as Google is famous for keeping its search ranking practices under wraps. 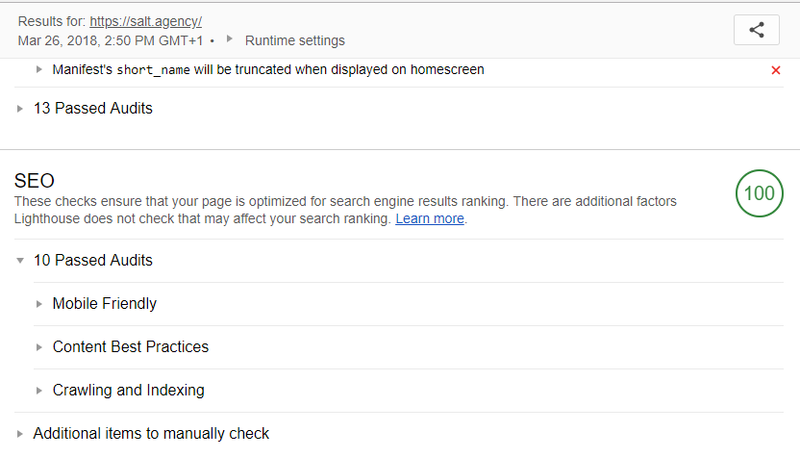 However, you can still identify these unique questions within AdWords using the “search terms” feature at the Ad Group level. Since the rise of the smartphone and smart speaker, voice assistants have been conditioning the human user on how to query, make a purchase, and quickly interact to find the best result. This puts pressure on search engines to find the most accurate and relevant, or at least the most encompassing content on the web. Search engine behavior is undergoing massive changes as more voice search users enter the marketplace in the younger age groups. Websites need to prepare strategies that identify with what users are thinking about when they make a query so that they can provide the best possible answers, incorporating multiple content mediums to do so. This includes the right images, videos, keywords, and links to products. While the more ‘traditional’ blue links in SERPs are still as valuable as ever, voice recognition and voice assistants are here to stay. 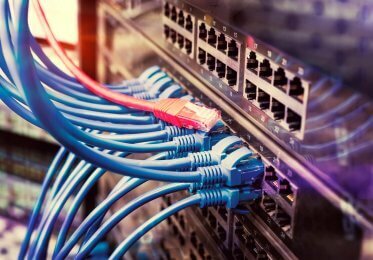 It’s not all rosy however, as there are challenges and obstacles, too, including tracking and monitoring voice queries. That said, by ensuring that your content considers voice search best practice as part of your overall marketing mix, you will undoubtedly put yourself in good stead and give yourself commercial advantage moving forward.